Attention expecting families! Planning your trip home from the hospital after welcoming a newborn can be stressful and you want to make sure you're ready to take your new addition home as safely as possible. For many, it's the slowest drive home you'll ever take. "Why is everyone driving so fast past us? Can't people slow down?" is what my husband repeated from the driver's seat as we were on our way home from the hospital with our first-born. Tampa General Hospital wants to help make the drive home a little less stressful for their patients who deliver at TGH. 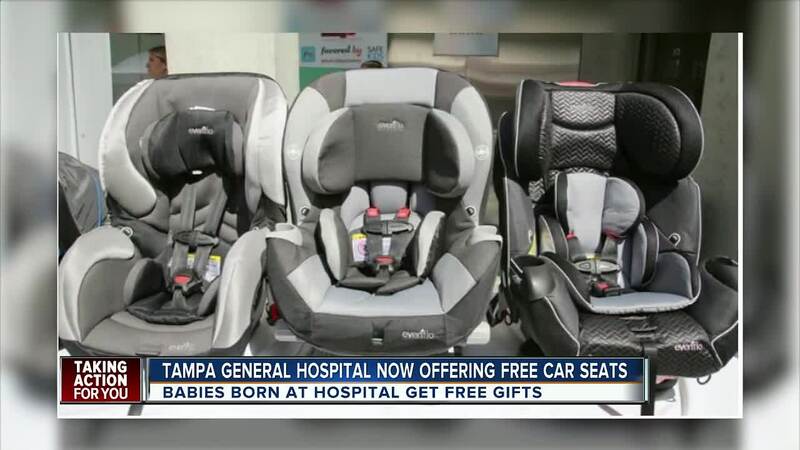 As soon as the parents fill out the birth certificate form for their child, Tampa General Hospital gifts the new parents a new car seat to assure that every baby goes home safely. The car seat is an Evenflo First Choice Car Seat and it's free of charge. That's not all! While in labor and delivery, the hospital gives each family a diaper bag filled with a few necessities for the patient. Some of the items in the bag include lip balm, lotion, and socks. Want to learn more about Tampa General Hospital and their labor and delivery services? Click here .